Backed by Karastan's standard 20 years Manufacturer Defect Warranty, there is no other rug in the market to compare this rug's quality. 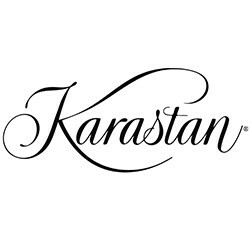 Karastan has been making rugs in the USA over 90 years and it has set itself as industry gold standard. 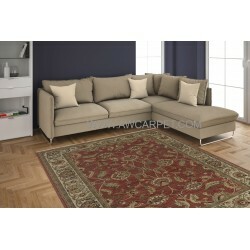 Karastan Ashara rug is made of the finest natural fibers available. 100% premium worsted wool, which is very easy to maintain for and clean. By following suggested maintenance and cleaning recommendations, you will enjoy years of use from your Karastan rug. We recommend that you use rug a pad to put underneath your rug preventing from sliding around. Rotate your rug 180 degrees periodically over the years, foot traffic and sunlight can cause color fading and uneven wear on a affected areas. Vacuum regularly to remove dirt and dust. Caution should be used in the fringe area while vacuuming with a beater bar can catch and pull the fringe, causing damage. We recommend using reputable professional AREA RUG CLEANER. Most carpet cleaning professionals are NOT EQUIPPED and KNOWLEDGEABLE in the area rug cleaning. For better result, rug should be cleaned at the area rug cleaning facilities with proper machines and techniques and must be air dried.